What a night--both inside and outside the Bohart Museum of Entomology at the University of California, Davis on Saturday, July 21. 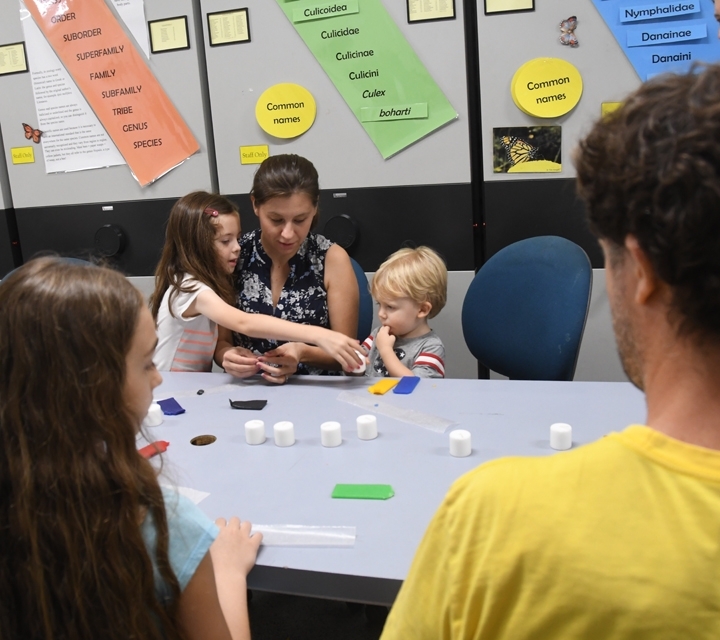 While moths and other insects fluttered to the blacklighting display, visitors flocked inside the museum to see the specimens, and engage one-on-one with scientists. Inside the Bohart Museum last Saturday, retired entomologist Norm Smith, who received his doctorate at UC Davis studying with major professor Richard Bohart (for whom the museum is named) fielded questions about moths and field collecting, as did senior museum scientist Steve Heydon, and Bohart Museum associates Jeff Smith (who curates the butterfly and moth section) of Rocklin; Greg Kareofelas of Davis, naturalist and insect photographer; entomologist Fran Keller, assistant professor at Folsom Lake College (she holds a doctorate in entomology from UC Davis) and entomologist and college student Noah Crockette of Sacramento. 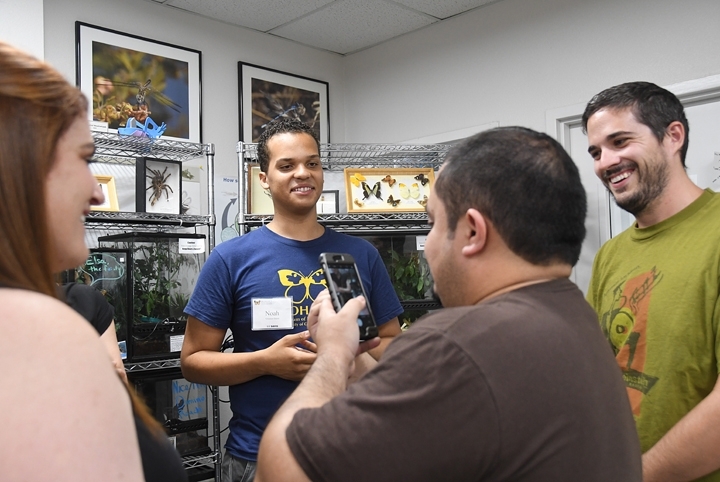 Crockette, a 2017 graduate of The Met Sacramento High School and a soon-to-be student at Cornell University, Ithaca, N.Y, staffed the Bohart's live "petting zoo," which houses Madagascar hissing cockroaches, walking sticks, tarantulas and praying mantids. 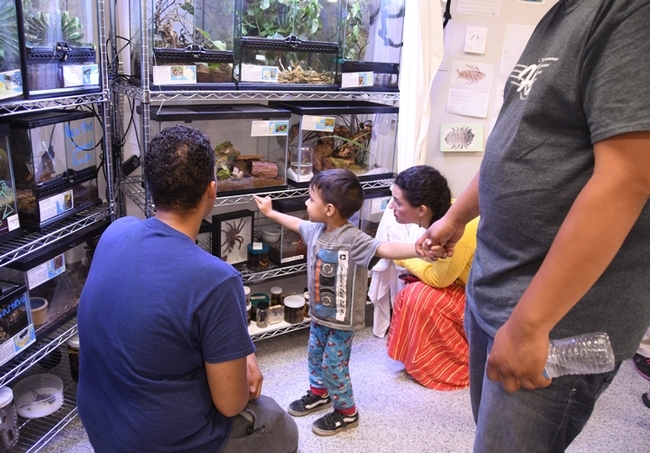 He invited young and old, the curious and the apprehensive, to acquaint themselves with the arthropods. 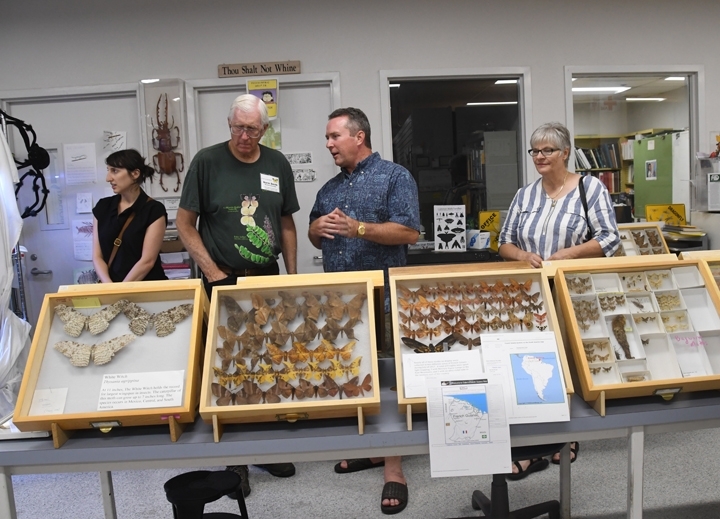 Among the specimen attractions was the white witch moth (Thysania agrippina), which at 11 inches, holds the record for largest wingspan in insects. The caterpillar of this moth can reach 7 inches long. The species is found in Mexico and Central and South America. Moths are among the most diverse and successful organisms on earth. Scientists estimate there are 150,000 to more than 500,000 moth species. Most are nocturnal. Visitors enjoyed cookies and hot chocolate. Common Grounds, a Davis coffee shop, provided the large containers of hot water, said Tabatha Yang, education and outreach coordinator. 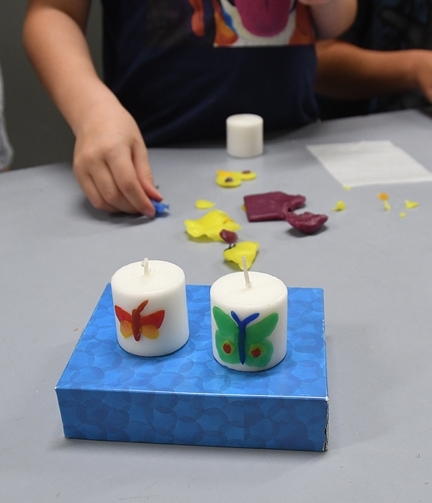 The family craft activity involved decorating wax candles with moth and butterfly replicas. 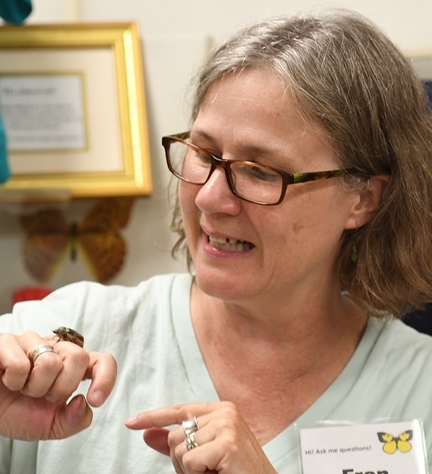 "Fire and Ice: Extreme California Insects," set from 1 to 4 p.m., Sunday, Aug. 19. "Crafty Insects," set from 1 to 4 p.m., Saturday, Sept. 22. 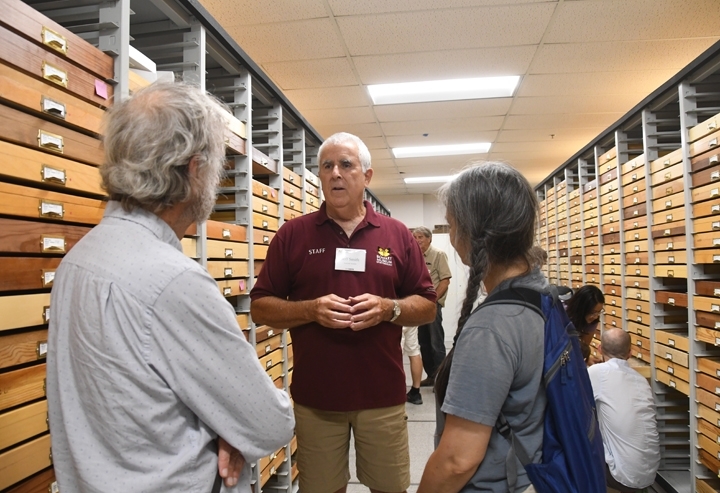 The Bohart Museum is located in held Room 1124 of the Academic Surge Building, Crocker Lane. Directed by Lynn Kimsey, professor of entomology at UC Davis, the museum houses a global collection of nearly eight million specimens. 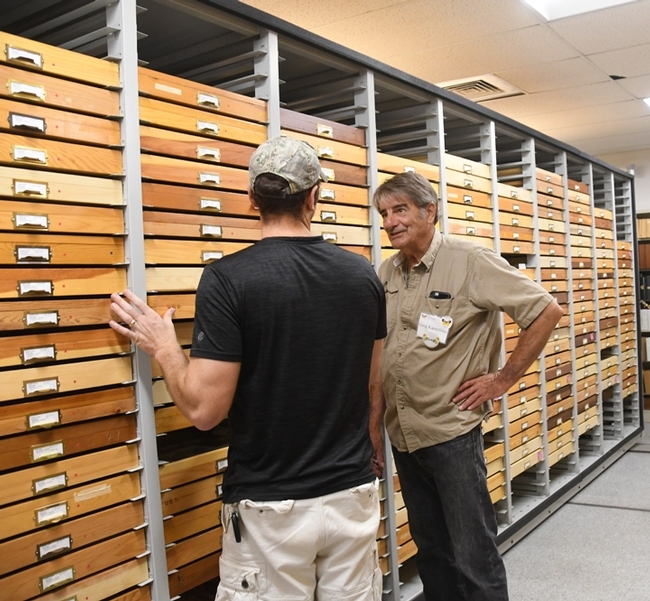 It is also the home of the seventh largest insect collection in North America, and the California Insect Survey, a storehouse of the insect biodiversity. 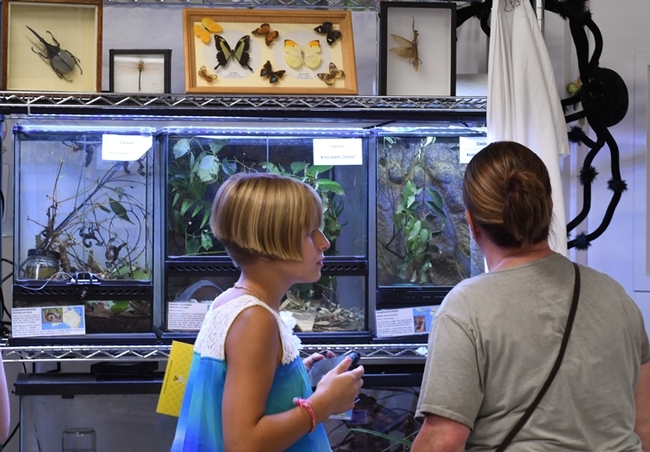 In addition to the petting zoo, the museum features a year-around gift shop, which is stocked with T-shirts, sweatshirts, books, jewelry, posters, insect-collecting equipment and insect-themed candy.